(By Kevin Graman) Nurses and other medical workers await a bargaining date for long-awaited contracts with the Deaconess Hospital, Spokane, Wa. and Valley Hospital, Spokane Valley, Wa. Their key demand for more staffing to improve patient health and safety goes unanswered by the hospitals’ for-profit owner Community Health Systems Inc.
By way of example, Nicholson cited an increase in patient falls following administration-ordered staffing changes at Valley Hospital in 2012. Several studies have associated patient falls with nurse-patient staffing ratios. 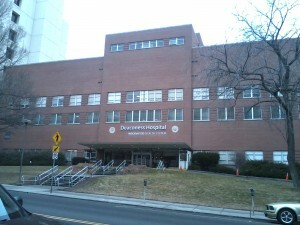 In August 2012, the medical-surgical department celebrated going 13 months without a patient fall, Nicholson said. Later that month, the administration changed the patient-nurse ratio from four or five patients per nurse to six per nurse, she said. By October, the department experienced 13 falls, including two that resulted in severe injury to patients. Patient falls resulting in injury or death must be reported quarterly to the state Department of Health. 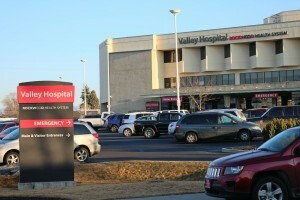 State records confirm that there were two such falls at Valley Hospital in the third quarter of 2012. 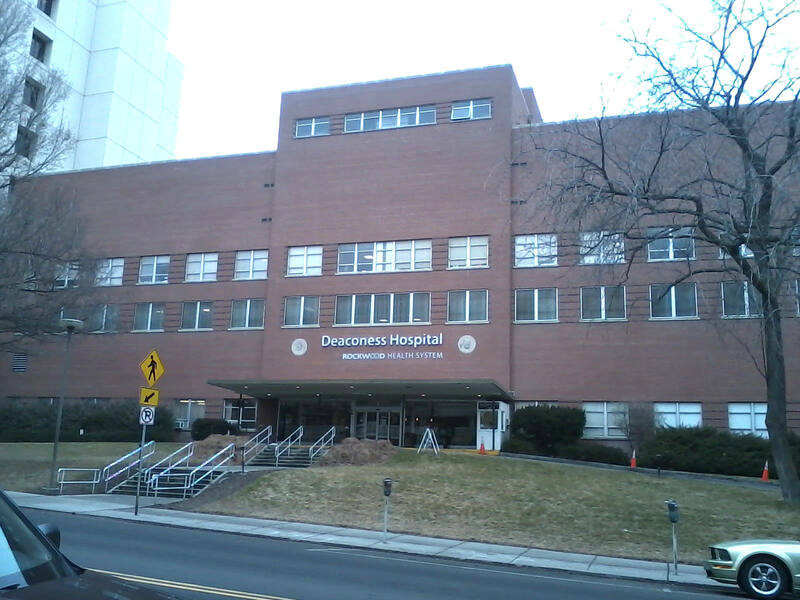 There are similar problems at the Deaconess Hospital. In fact, DOH records available at http://www.doh.wa.gov/Portals/1/Documents/2900/689013.pdf show that since 2010 there has been a higher rate of patient falls resulting in injury or death at Valley and Deaconess Hospitals than at either Spokane’s Providence Sacred Heart Medical Center or Providence Holy Family Hospital, which are owned by Washington-based Providence Health and Services, a non-profit Catholic organization. Sasha Weiler, a spokeswoman for Valley and Deaconess Hospital Spokane, said the for-profit hospitals take patient falls “very seriously,” and have put many initiatives in place to prevent them. However, she disputed a relationship between staffing decisions and patient falls. 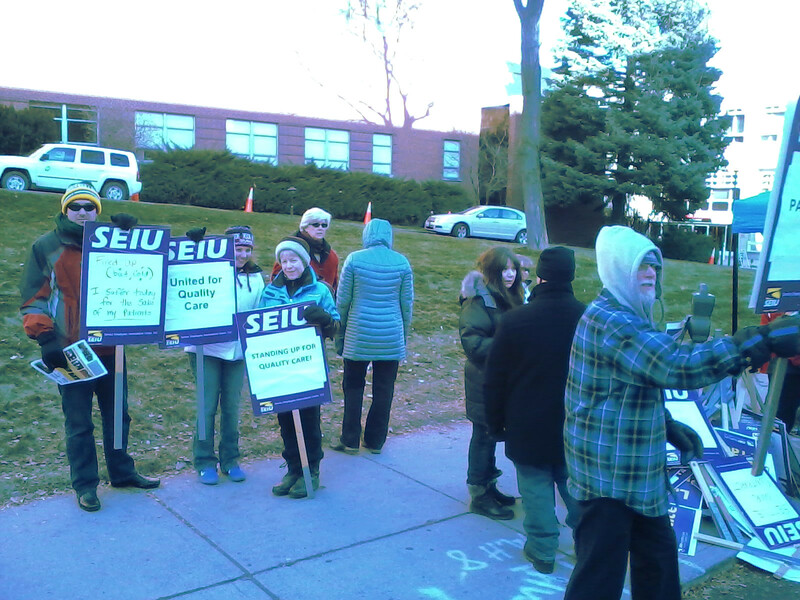 In December, Spokane Valley Hospital locked out about 80 nurses for 72 hours and brought in replacement workers after the nurses and other employees held a one-day strike at Spokane Valley and Deaconess Hospital Spokane. Reviews from the community have mostly been in favor of the striking workers. The hospital employees and their demands have won the support of other labor and community groups. 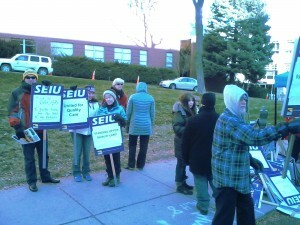 SEIU has won the support of other labor and community groups in the Spokane area for the demands of the hospital employees at Valley Hospital and Deaconess Hospital. Spokane City Council President Ben Stuckart and City Council members Jon Snyder and Amber Waldref wrote a letter to Deaconess and Valley hospital officials raising concerns about medical staffing levels. In response, the Community Health Systems lobbyist representing the owners of Deaconess Hospital Spokane and Valley Hospital requested that Spokane City Attorney Nancy Isserlis issue an advisory ethics opinion about the council members’ use of city letterhead. The request by hospital lobbyist Tom Parker was later dropped, The Spokesman-Review reported. SEIU spokeswoman Nicholson said the union has proposed nurse-patient ratios similar to those in California, which became the first state to mandate ratios 14 years ago. However, the union said that Spokane Deaconess Hospitals and Spokane Valley hospitals routinely ignore the direction of their nurse staffing committees, which are created by state law to set appropriate staffing levels. Nicholson said the number of patients per nurse – individualized for each department — is not the only issue the union has with staffing by administrators at Spokane Valley and Spokane Deaconess Hospitals. Robinson said it’s much the same at Deaconess Hospital in Spokane. “In every bargaining unit, staff is shrinking through attrition or through the company cutting hours” and effectively eliminating Deaconess jobs, Robinson said. For example, housekeepers at Deaconess Hospital are being sent home early every day, she said. So housekeepers have to ask, “OK, what don’t we clean today?” Robinson said her department, which is in charge of sterilizing surgical instruments, often gets backed up and workers face excessive overtime. At Deaconess Hospital, “Sometimes we have had to cancel or postpone surgery because we didn’t have an instrument pan ready,” Robinson said.